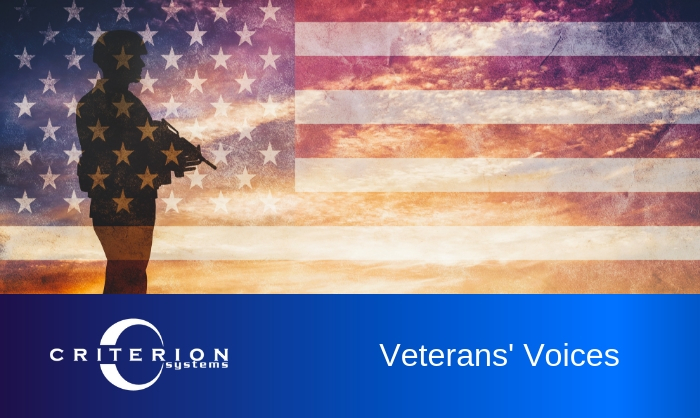 Criterion has many veterans and active reservists among its leadership and staff. Today, we’d like to introduce you to Brian Rodger, Director, Cybersecurity Center of Excellence. You can find more profiles of veterans and other employees in our Life at Criterion category. My last duty was as an admin clerk working for our Commanding Officer. This position gave me an opportunity to understand how an office environment worked and, as the Marine Corps was in the middle of deploying PCs to modernize the way it did business, gave me an early introduction to using computers in a professional manner. My only involvement with computers up until that point was for playing video game! The word processor that I learned on was WordStar running on MS-DOS version 3.3 (I know, I am incredibly old). You had to exchange multiple 5.25-inch floppy disks to access the different functionality of WordStar. Wow, how times have changed! What was the time frame you were in the military? What was the most rewarding aspect of serving in the military? Feeling a sense of pride in serving my country. What lessons learned during your service do you apply to your job now in the civilian sector? Always keep your head on a swivel. This means always pay attention to your surroundings so nothing catches you off-guard. Why did you choose to pursue a job in Government Contracting? I started government contracting in 2003 working for SRA. A former boss that I had in the commercial sector brought me over to do technical project management. I was in the telecommunications sector, which was still feeling the effects of the internet bubble and I was looking for a new avenue, so the job kind of picked me. What advice would you give to military members who are about to re-enter civilian life? Have a plan in place and work the plan. Figure out what skillsets you either possess or need to possess to make your plan happen and move out. There are many opportunities available for former military members, so focus in on your passion and make it happen.